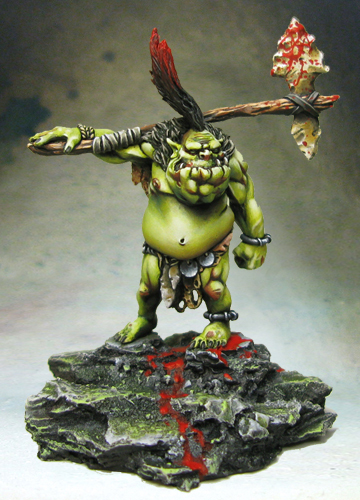 • Crow Clan: very mobile and resistant miniatures but with few hit points, dedicated to scenario and harassment. 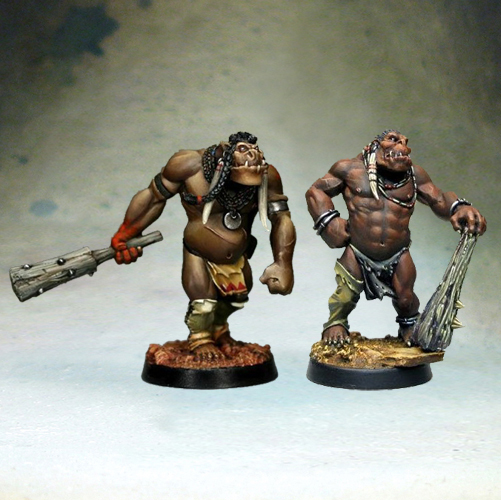 • Auroch Clan: expensive, but resistant miniatures and excellent fighters. A troop made up of elements from each of the clans will be able to cope with all the situations and the panel of possible opposing factions. Each miniature is also very specialized, with characteristics and abilities. Thus, it is possible to surprise the opponent and leave him no respite if you judiciously exploit each one of them. Playing a different band each time will be a new gaming experience. 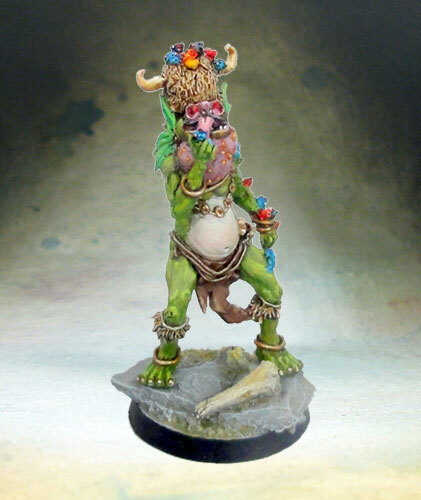 There is a lot to test while playing Aurlok, providing very different gaming sensations depending on the miniatures, themes or strategies deployed. Advantages: Versatility and specialization! The Aurloks have a troop or hero for all situations. It is thus possible to focus his troop on a heterogeneous band, good on all aspects of the game without excel or a homogeneous band focused on a specialty or it will excel. Playing the scenario with a troop made up only of members of the Crow Clan, or playing the fight with a troop made up of members of the Wolf Clan is a strategic challenge! 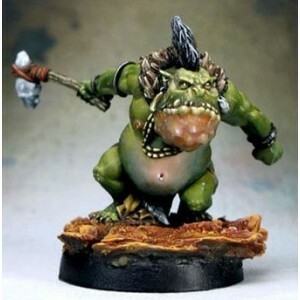 Weaknesses: Aurloks miniatures are expensive in point. Also you will be very rarely in numerical superiority at the beginning of the game. In fact, each loss will cost you dearly and will deprive you of a miniature difficult to replace in the field. Moreover, the most powerful miniatures such as alchemists or Manitou remain very fragile or delicate to play and take in hand. Tecum Seh is a simple hero for his special abilities but with excellent characteristics giving him a great versatility on his use. His high movement, his excellent Defense and Reflexes values, his many APs and his ability Long Reach make it an excellent profile to harass or attack en masse enemy troops. He is also a very good scenario player for the same reasons. SAlly the hero Aurlok, Tamel’Seh is also a symbol of the great versatility of the Aurloks. In addition to a shot and a free measure, both formulas are designed to improve the skills of its allies: either their movement or their martial abilities by gaining proficiency. When you know how specialized Aurloks are, its formulas can become real strategic benefits. 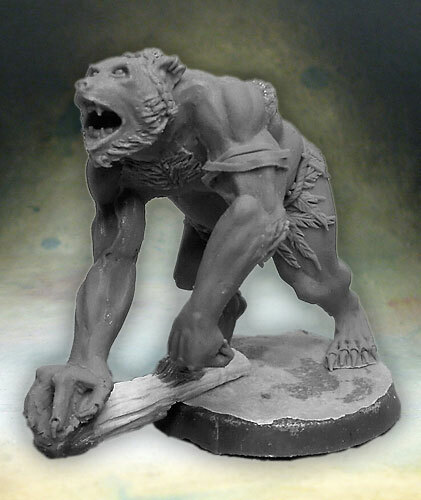 Hero of the Wolf Clan, Wolitse is an excellent fighter, violent and discreet. His high combat and his ability Sequential attack makes him able to face any model of the game, while being safe from firing and distant charges thanks to his Stealth. He has strong interaction with the Wolf Thunder Warriors, giving them Stealth ability. Align these and Wolitse returns to play a very offensive troop that will often initiate the attack. Cheap Aurlok hero, Watanka is an excellent leader thanks to his 9 in Spirit and well protected thanks to his Tough and his Stealth. His ability to play on the Stealth skill makes him an excellent support hero. He can protect his allies by giving them this skill or by improving it for those who already have it. He can also cancel the Stealth of the enemy miniatures. It is actually the nemesis of the miniatures of the Sub-Faction Cobra Guard. Tanka Wanka or the hero with funny game effects. This hero can suffer from comparison with other heroes but have significant advantages. 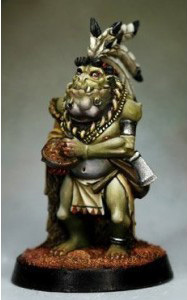 It has the ability Alien, unique in the Aurloks but also the ability to stabilize his dice rolls by always throwing at least one white dice! Being a good fighter at a lower cost, he is quite qualified to lead Aurloks or Walosi in battle! 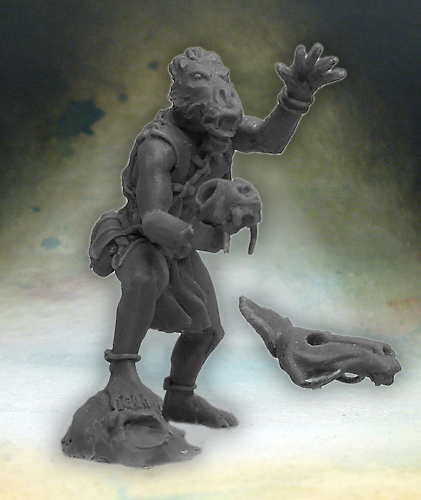 Tha’pioca is the best-priced Aurlok hero for a four-action action miniature! Not having a Critical State and counting on a very large number of Life Points, it can devote itself without restriction to strike its adversaries thanks to its excellent table of damages and to a zone of threat extended with its four Action Points. 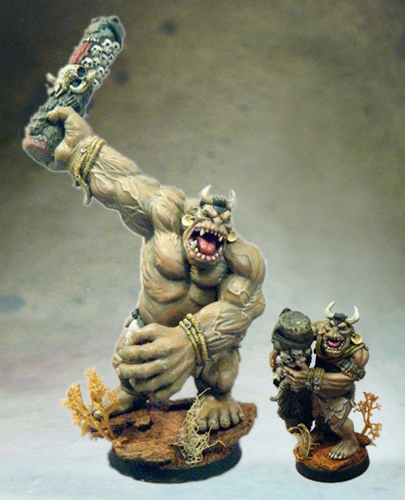 It must be played together with other miniatures to overcome its weak defense! The Shaman-Medicine is a very versatile alchemist. He can, according to his formulas, be at the same time an excellent defensive profile as offensive. His special ability and his first formula allow him to absorb or heal his allies. He may also inflict by his second formula damage depending on his state of health. The more he is injured, the more dangerous he will be for your opponent. 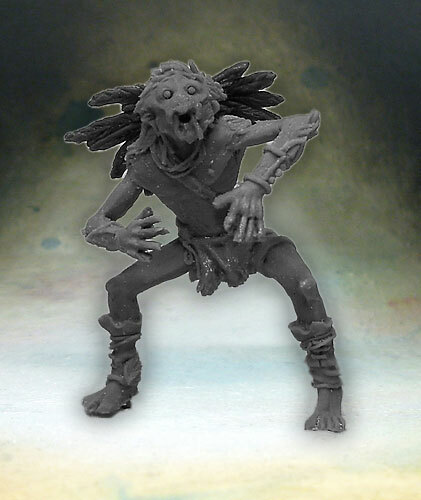 Alchemist of the Inner Circle, the Night Shaman is a delicate miniature to play but with very strategic abilities. 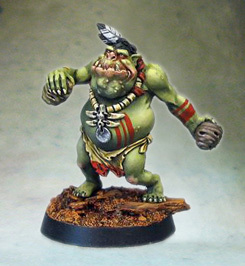 His first formula allows him to scare his opponents, overwhelming them with dice. Thanks to his second formula, he can invoke a new miniature on the table. A major strategic asset, it will nevertheless protect the fragile shaman to avoid seeing the effects of his formulas fade. First invocation of the Night Shaman, the Spirit-Hero is an offensive profile that can bring a significant strike force to allies. The ability of his summoner to make him appear closer to the fighting should not be neglected. Second invocation of the Night-Shaman, the Ancestor Spirit is a defensive profile and an excellent goalkeeper. It can effectively protect any friendly model while effectively parrying the opponent’s shots. The Thunder Warriors are the basic troop of Aurlok bands. Ranging in cost from 18 to 21 points, each has a specialty: Toad resistance, Crow mobility and Wolf combat. In addition to this specification, each type of Thunder Warrior has a bonus of its own: short-range shooting weapons for Wolves and Crows and Hemotoxic for Toads, allowing you to inflict damage as soon as it is hurt. 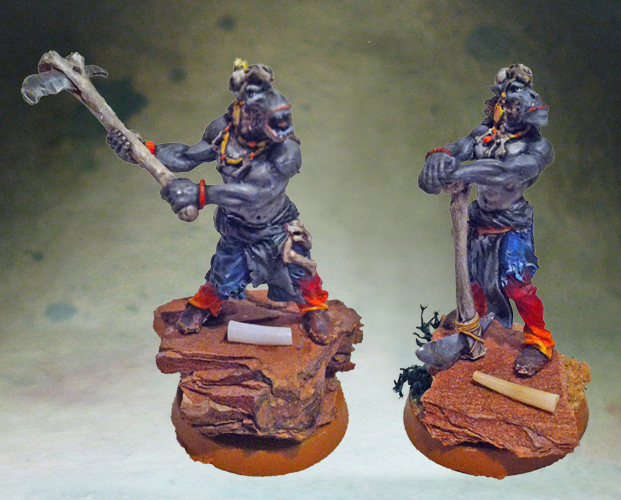 Auroch Rain-Dancer are support troops for other fighters. They bring bonuses to allies or penalties to opponents within range. The Rain-Dancer Horn will force the opponent to use lower health dice of all these miniatures in range. The one with the drum forces the allies within range, to use a CC of attack with a bonus dice! In addition, they are also good fighters with good resistance so that they are not afraid to end up in Close Combat. Toad Hive-Throwers are support troops that allow a limited number of scorers to be placed on the field. Miniatures approaching too close will have to take the damage due to bee stings! Be careful, however, not to touch the allies! A support of choice for the Aurlok Nation and the Walosi Clan, allowing the control of the ground. The Crow Wind Warriors are the privileged scenario players of the Aurloks. 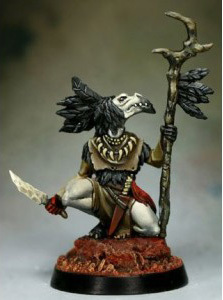 Discreet and mobile thanks to their Stealth and Trainer abilities, with the advantages of the Crow clan, this is the ideal troop to play the objectives or to attack the weaker or more isolated enemy miniatures. The Wolf Spirit Guards are elite troops designed to protect the most sensitive elements of the band. A good fighter and with the Guard skill, they will provide effective protection for heroes, supporters and other alchemists by reserving some low shots to the opponent thanks to the Feint ability. Combining brutality and resistance, Auroch Warriors-Totem are the elite of the Aurloks. They excel in combat thanks to their high damage and resistance. Their 3 action points make them have a threat radius far from negligible. Playable alone or in pairs, they can stand up to almost any opponent. 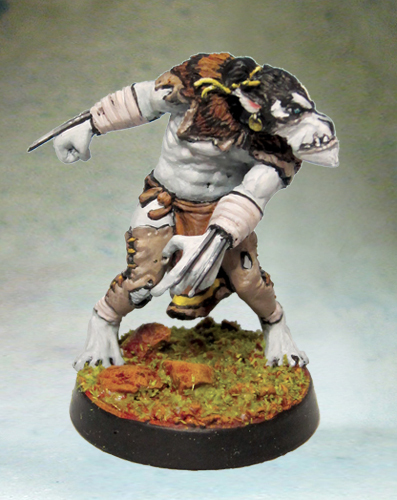 The Warrior-Manitou is the Aurlok’s Size 3 miniature, it’s the most powerful size 3 of the game, violent, resistant and having four Action Points. But this power is paid! In fact, your Manitou will awaken gradually during the game, as and when attacks that he and his allies suffer. Strategy, placement and intelligence will be needed to awaken this monster and get the most out of it.